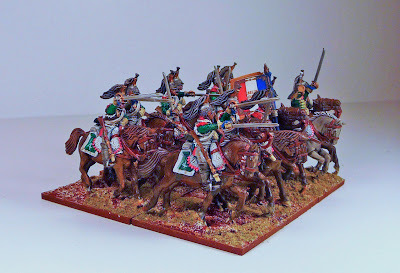 Well, I never thought I would make such an error! 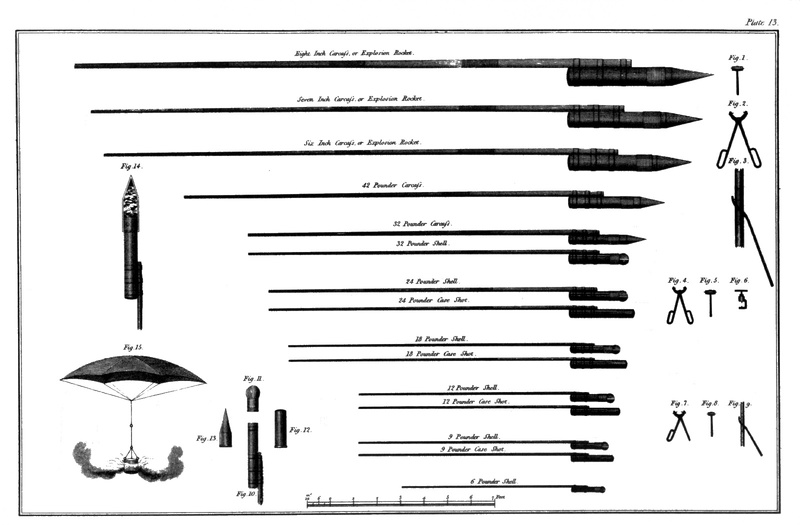 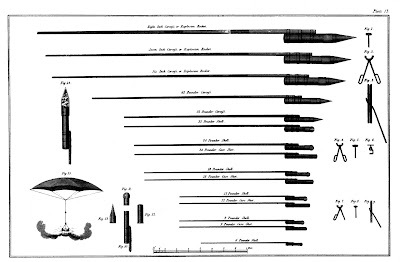 I have been rushing to finish up this unit of cuirassiers for some time. 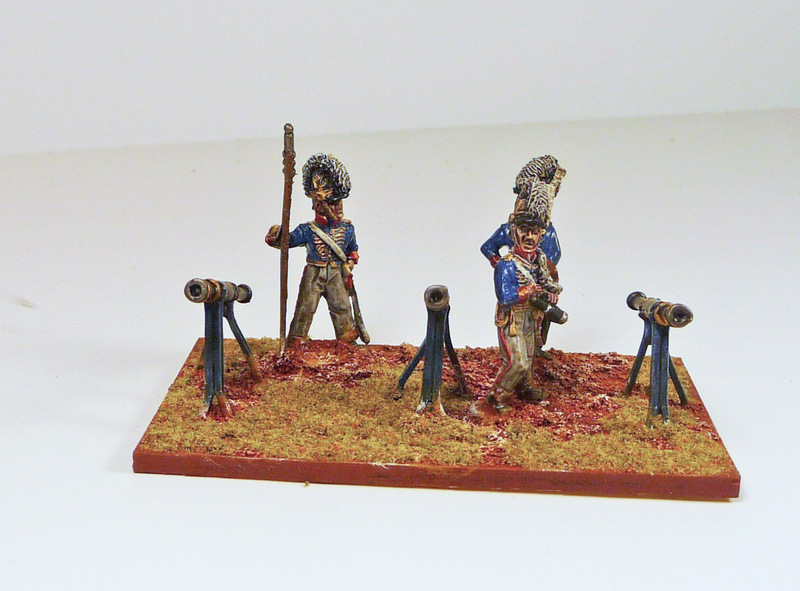 I had done 4 of the figures before Xmas. 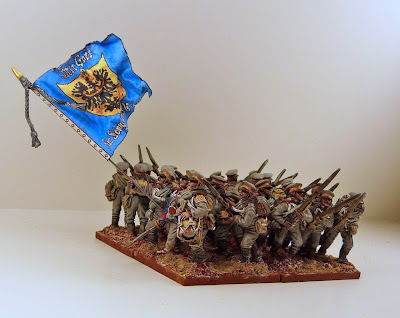 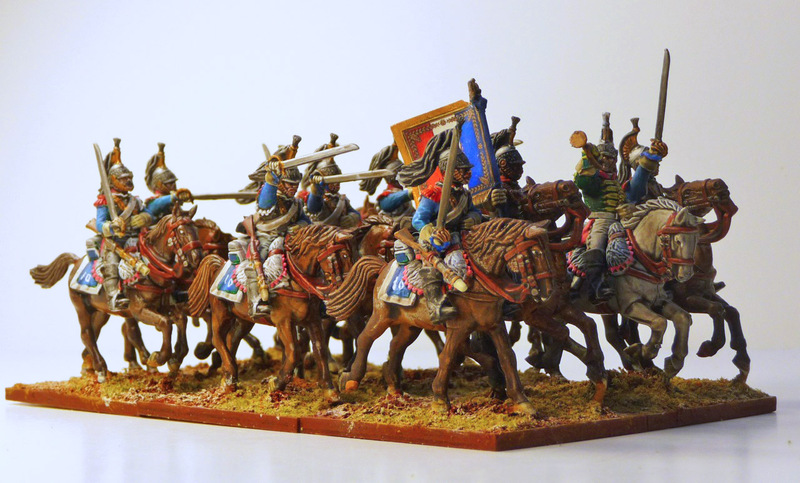 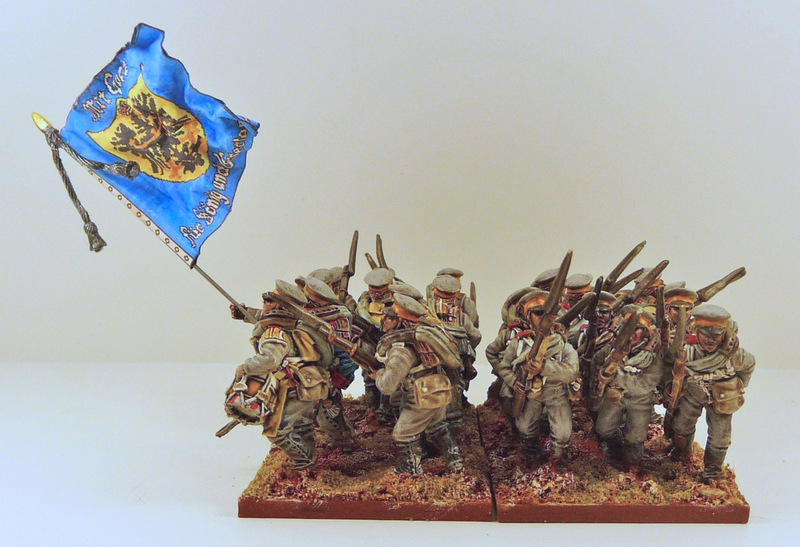 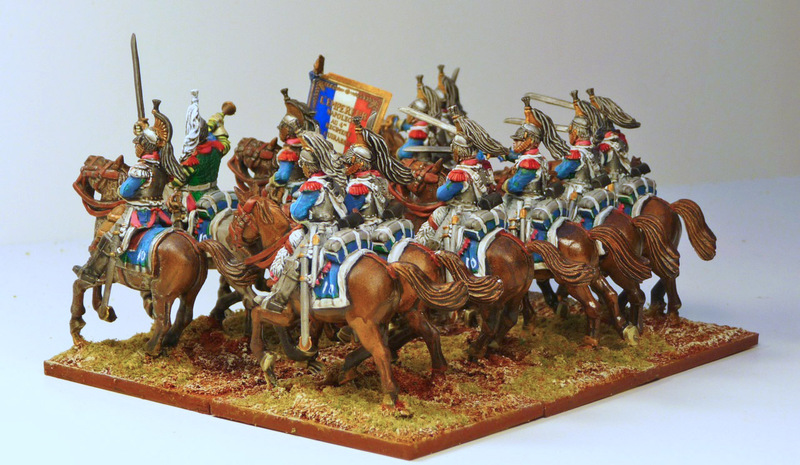 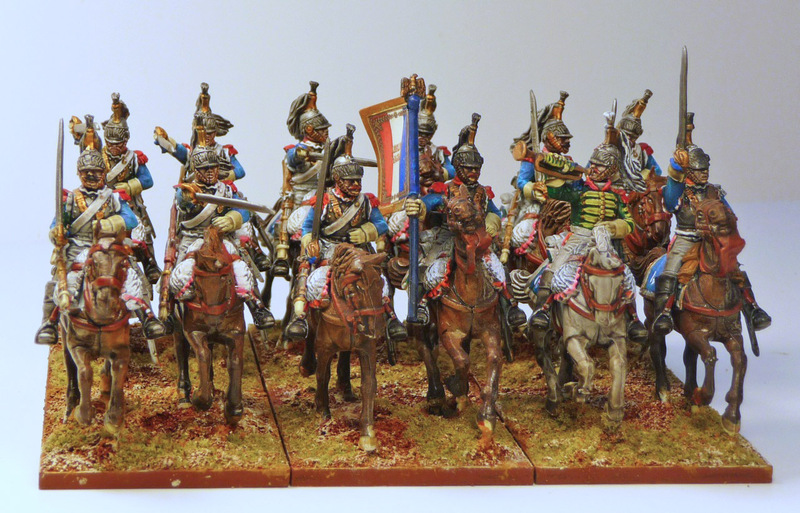 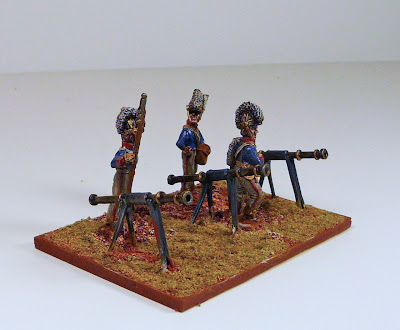 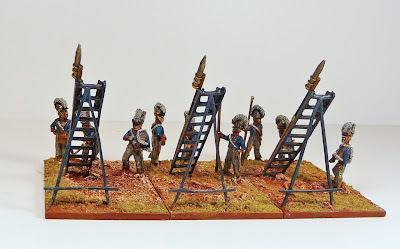 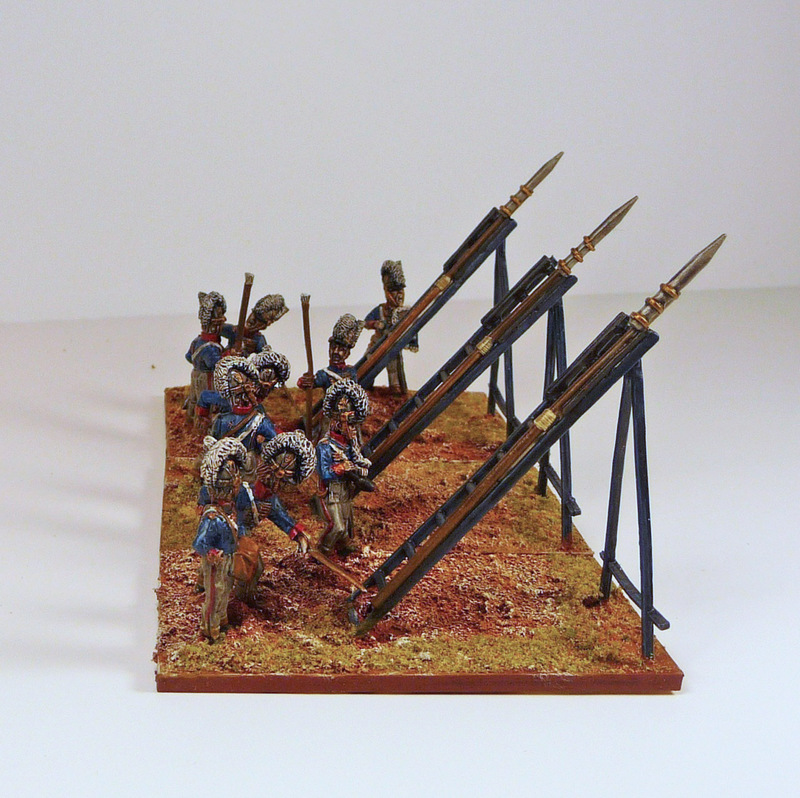 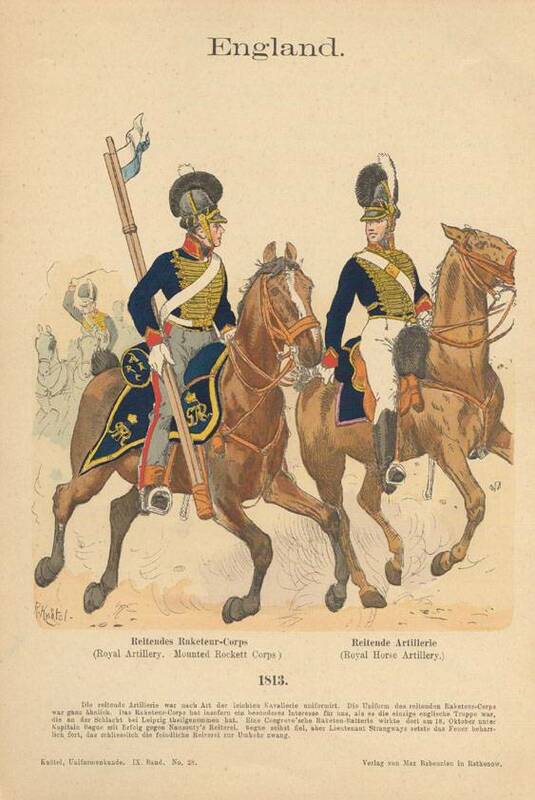 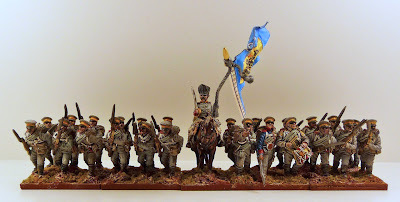 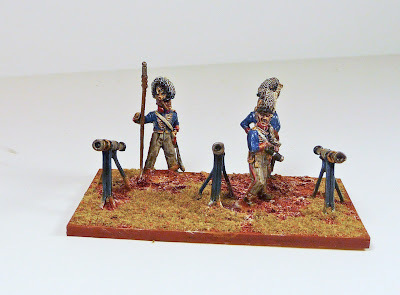 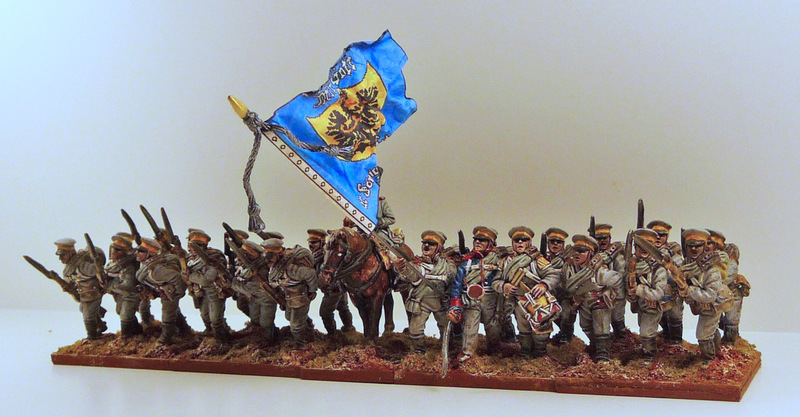 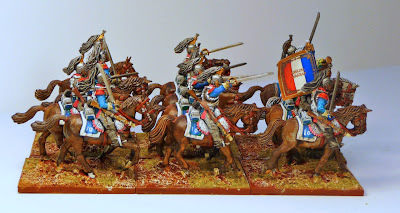 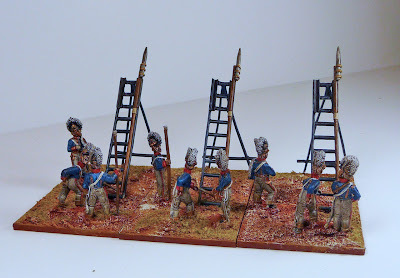 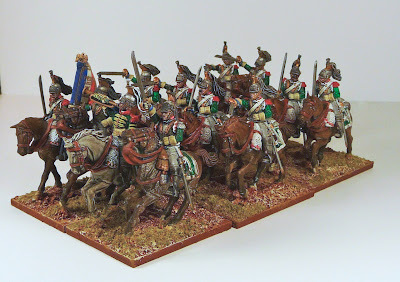 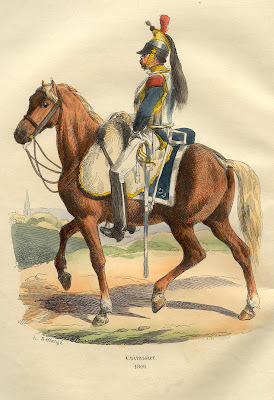 There is a painting contest over at Analogue Hobbies, and I was also keen to get my next scenario "La Haye Sainte" started and I needed a unit of cuirassiers. I noticed after I had sent the photos to Curt at Analogue, that the 4th actually had orange facings and I had painted these pink; easy enough swop out the flag and repaint the numbers (shame really as I had done a nice job on the 4's) on the saddle cloth. 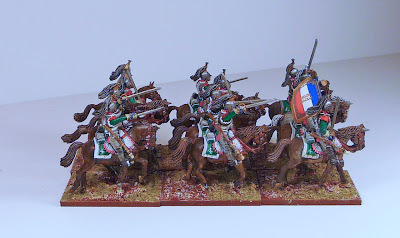 I was trying to figure out why I had done what I did, so I was reviewing some sources and suddenly it dawned on me that I had made a much bigger error, by painting the coats and saddle clothes green. Merde!!! 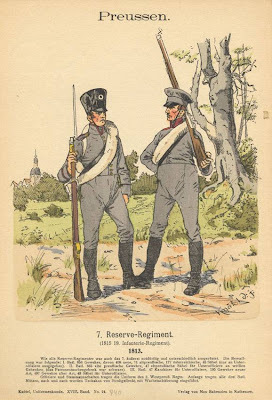 F..........! 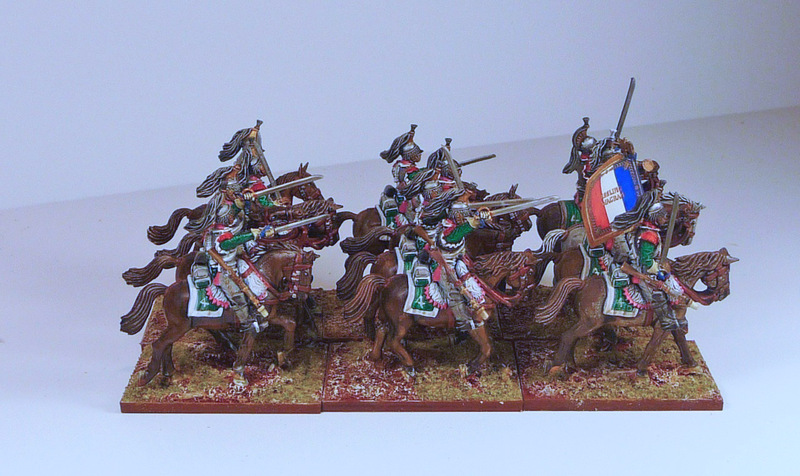 I still have no idea what happened, but here they are "Les Cuirassiers Verts". Time to dig out some blue paint I suppose.